Changing My Theme in Preparation for the New Year – YOUNG MOMMY B.A. Gosh! I can’t stress enough how I missed writing for my personal blog. But you see, I have bills to settle and BER months are supposed to be costly. So yes, I decided to work my arse off first(which is fine) because I was able to literally fly with my jobs. You see, I still have a lot of things to finish. With multiple employers, my friends ask me how I do it. Well, I always have my pen and notebook with me. Yes, I’m a bit of an old – school and there’s something about writing my plans that keeps me organized. I know it’s not just me! I have been blessed and ready to receive more blessings. With my jobs, travel opportunities and love I get from my family, I think I’m set for a bigger one next year. If you haven’t noticed, I changed my blog’s theme. I don’t know – I have the habit of changing and rearranging stuff when I’m planning something big. It has a psychological effect on me that I have to start anew. It works! Maybe it will for you too. 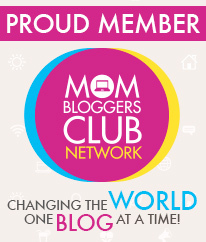 Happy New Year from YMommyB!